Chris Woodruff (or Woody, as he's commonly known) has a degree in Computer Science from Michigan State University’s College of Engineering. 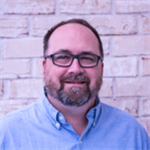 Woody has been developing and architecting software solutions for over 20 years and has worked in many different platforms and tools. He’s a community leader, helping such events as GRDevNight, GRDevDay, West Michigan Day of .NET, and Beer City Code. He was also instrumental in bringing the popular Give Camp event to Western Michigan where technology professionals lend their time and development expertise to assist local non-profits. As a speaker and podcaster, Woody has discussed a variety of topics, including database design and open source. He has been a Microsoft MVP in Visual C#, Data Platform, and SQL, and was recognized in 2010 as one of the top 20 MVPs world-wide. Woody is a Developer Advocate for JetBrains and evangelizes .NET, .NET Core, and JetBrains' products in North America.